BT has signed the exclusive UK rights to the cloud-gaming service OnLive. The broadband provider has obtained a 2.6 per cent share in the company and will provide OnLive's gaming offering as part of bundle deals to its customers. 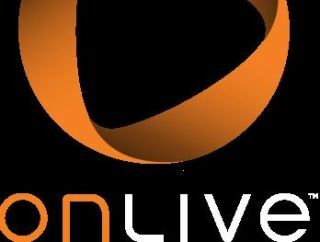 OnLive has now been in development for eight years. BT issued a press release about the deal this week and has said that it will announce further details about UK launch plans for OnLive later this year. "Entertainment is going to be at the heart of what we offer customers in the future," said CEO of BT Retail, Gavin Patterson. "It's great for our customers - they'll have access to a huge catalogue of games, available instantly on their TV or PC without expensive hardware." "The UK market is extremely important to OnLive and our videogame publishing partners as we expand into Europe. We view BT as the ideal UK partner. As gamers are moving increasingly to online game distribution, OnLive delivers video games as a pure form of online media, playable instantly on almost any video-capable device attached to the internet. "The implications are nothing short of transformative to video games and in time, all interactive media. OnLive is delighted to be pioneering this revolutionary technology in the UK together with BT."